Semantic UI is a set of specifications for sharing UI elements between developers. 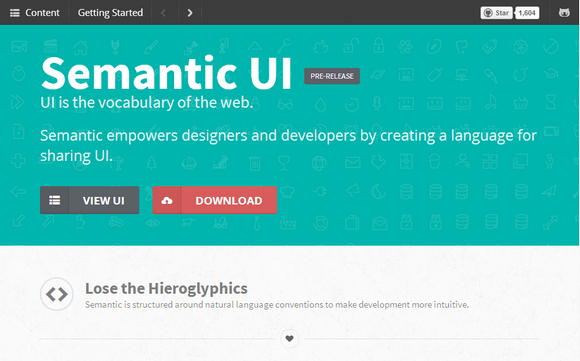 Semantic is also a UI library to make front end development simpler and easier to learn. The Semantic library describes many UI elements. In most instances it might be best to build a custom build with only the elements you need. UI components are split into four categories, ranging from smallest to largest in scope: UI Elements, UI Collections, UI Modules and UI Views. Semantic gives you a variety of UI components with real-time debug output, letting your code tell you what its doing.